With temperatures on the east coast reaching record lows this new year, it’s important to make sure your cats stay warm. I bought this product not knowing this unusual cold spell was coming. 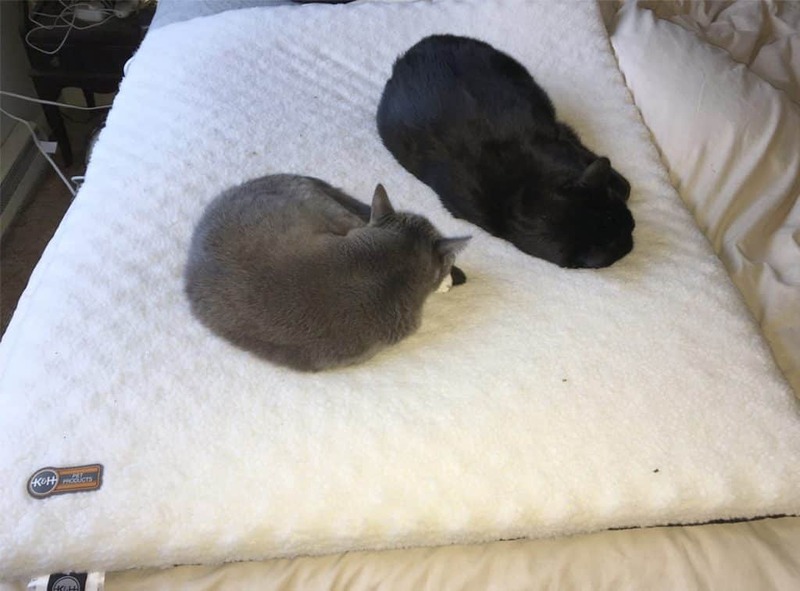 Keep reading my K&H Pet Products Ortho Thermo-Bed review then decide for yourself if you think you might like one for your cats. I have an older heated cat bed that one of my elderly cats used before she passed in 2016. After she was gone, I put that bed away since our remaining cats are healthy and most of them are still fairly young. I recently got that bed out of storage because our oldest cat, Periwinkle, is now 12 and I noticed that she is getting a little thinner, and I thought she would like to sleep in a heated bed. Well, it was a great idea, but I couldn’t get Periwinkle to sleep in it and our middle cat, Firefly, claimed it. So, I decided to look for a heated bed that more than one cat could use at a time. After doing some research, I found the K&H Pet Products Ortho Thermo-Bed. Yes, this product is marketed as a dog bed, but it works for either dogs or cats. Less than an hour after I put this bed out for my cats, they were enjoying it. Everyday, one to three cats use this bed. The dog also gets on it when he can. Designed for dogs of all sizes, the K&H Ortho Thermo-Bed is sure to be your pet’s new favorite heated bed. 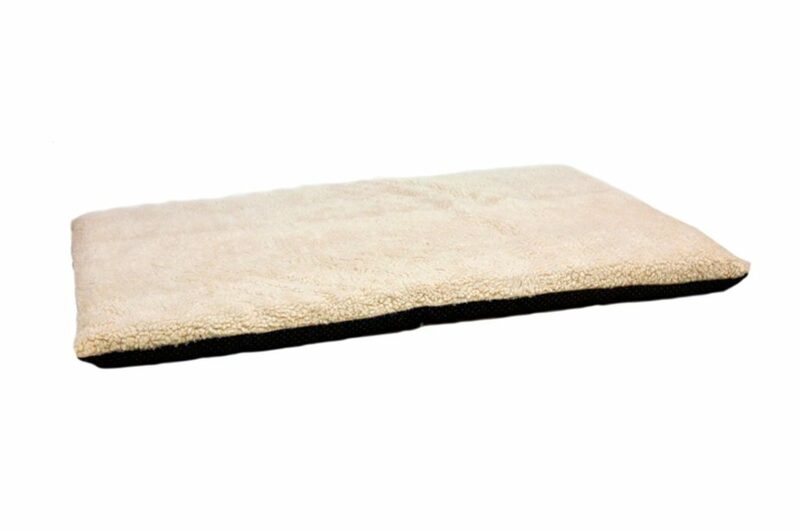 Dual orthopedic foam layers surround our popular Pet Bed Warmer to create a warm, comfortable place for dogs to rest. Two internal thermostats keep this orthopedic heated pet bed 12-15 degrees greater than the surrounding air temperature. And once your dog lies on the Ortho Therm-Bed, its surface temperature will rise to 102° F.
To launder, remove the internal heater and wash the cover on the gentle cycle with cold water, then line dry. This product is MET listed and designed for use indoors. Comes with a 1 year limited warranty. The bed is relatively cool to the touch and the heat is distributed throughout the foam padding after the cat lays on the bed. The extra large bed is large enough for about 3 to 5 cats. The temperature of the bed only reaches a max of 102 degrees. Heating pads designed for humans get too hot for your pet. The only problem I have found with the K&H Pet Products Ortho Thermo-Bed is that the heating pad inside the bed is only about 1/4 the size of the bed. So, there is only one portion of the bet that is heated. However, the foam padding on the bed seems to absorb and reflect my cat’s body heat. I would have preferred that the heating element be the same size as the bed, but overall, I am happy with this product. If you enjoyed thisK&H Pet Products Ortho Thermo-Bed review, please join my mailing list. I will let you know when I post a new article. Thanks! See more cat product reviews here.